剧情： Now one of the world’s most celebrated artists, Yayoi Kusama broke free of the rigid society in which she was raised, and overcame sexism, racism, and mental illness to bring her artistic vision to the world stage. At 88 she lives in a mental hospital and continues to create art.KUSAMA Princess of Polka Dots explores artist Yayoi Kusama's journey from a conservative upbringing in Japan to her brush with fame in America during the 1960s (where she rivaled Andy Warhol for press attention) and concludes with the international fame she has finally achieved within the art world. 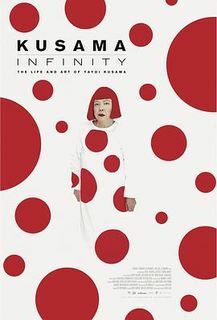 Now in her 80s, Kusama has spent the last 30 years living in a mental institution in Japan.